Watch our latest video update from the field and see what the 2014 field school students are doing at Johnson’s Island! 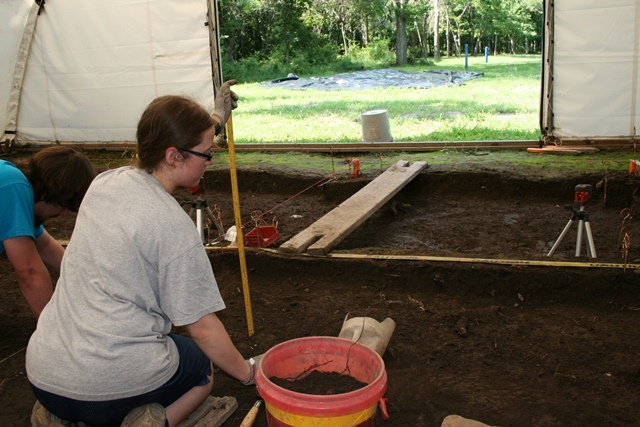 Renee is showing how to measure the depth of the unit during excavation using a horizontal laser line and a meter stick. 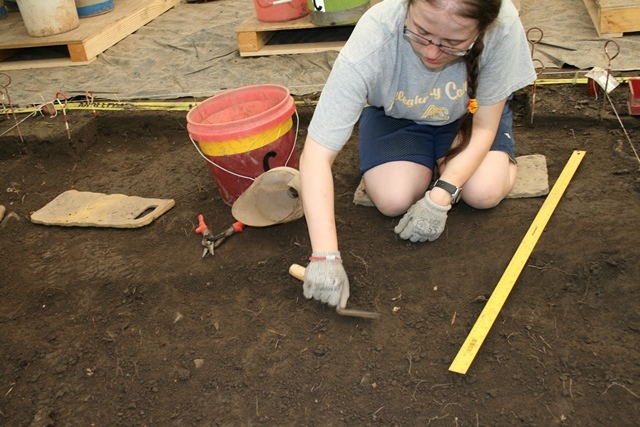 This is important because when excavating we want to go down in equal depth levels, that way we know where all of the cultural material we find came from. Eventually a map could be made from this information. When acquiring said cultural materials, one utilizes a trowel to pull back the dirt containing the material. A tool this size works best because it allows for more controlled excavation. Also this can limit the damage taken by the artifacts when being unearthed, say as if one were using a shovel. Once enough dirt and artifacts have been pulled up, it is then scooped into buckets and sent to screening. 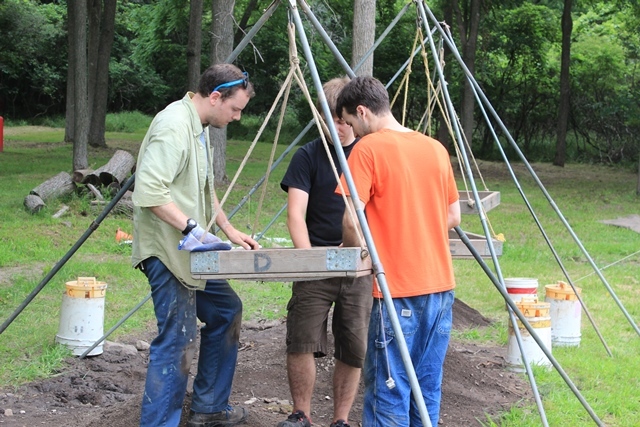 Screening is a very important process of excavating because it is when the smallest artifacts are found. This process starts with filling the screen with soil and shaking out the loose. After the artifacts are exposed they are placed into unit containers. At the end of the day these materials are bagged into appropriately marked bags. The entire process makes for easy and safe excavating of the artifacts. It is easy because the artifacts are exposed by simple shaking of the screen and safe because it keeps the artifacts provenienced with their historic locations. This entry was posted on Friday, July 11, 2014 at 2:07 pm	and is filed under Field Reports, Video Updates. You can follow any responses to this entry through the RSS 2.0 feed. Both comments and pings are currently closed. Amazing! 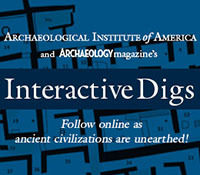 I belong to a state archaeological in Kentucky, but am keeping in touch with what other states in different sites are doing.